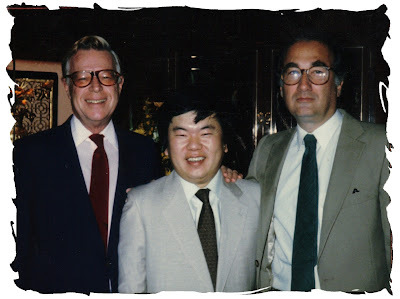 Arthur Rankin, Jr., Masaki Iizuka and Jules Bass! 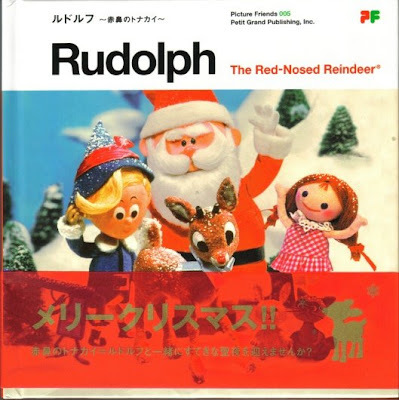 Masaki is THE RANKIN/BASS Producer/Director of RANKIN/BASS in Japan and began work with RANKIN/BASS in the early 1970's. 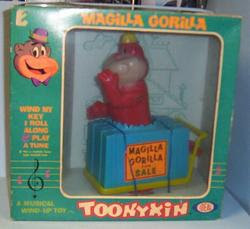 He was a GREAT guest at ARTHUR RANKIN's MUSEUM OF TV & RADIO appearance in New York some years back. His PACIFIC ANIMATION animated THE NEW ADVENTURES OF JONNY QUEST. 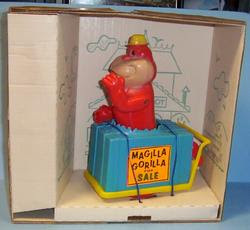 Here are some neat IDEAL MAGILLA toys my son Josh has! 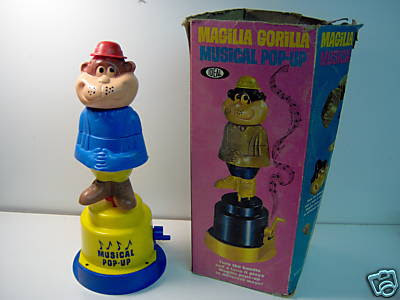 IDEAL TOYS sponsored the MAGILLA GORILLA TV series in 1965! www.myspace.com/rgoldschmidt Through the end of JULY, I am offering all three of my CDs for a package price of $15 + $2 shipping. I recorded a portion of each in Tempe, Arizona with the GIN BLOSSOMS. This is the Afternoon life up I remember from the early 1970's! 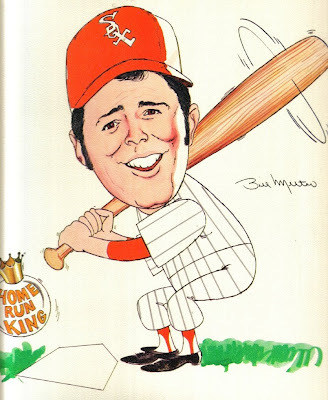 THANKS again goes out to Beltin' BILL MELTON! 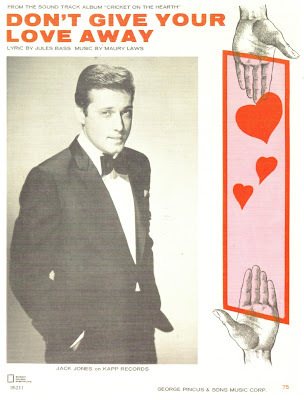 From Romeo's scrapbook. 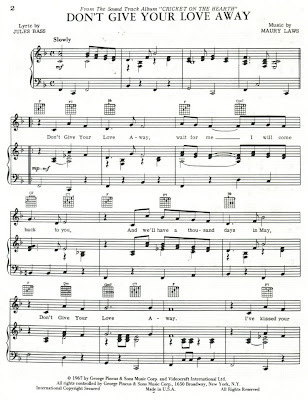 Click image to enlarge to read. I would like to recommend our Sensational lawyer GEORGE ZADOROZNY for all of your legal needs! He is batting 1000% with us. You can e-mail him at: zorrolawyer@yahoo.com He has GREAT follow through and reasonable rates! If you are trying to collect money that you are owed, need a legal letter or advice; If you have been dealt with unfairly in any way....George is your man! Tell him Rick sent you. RUDOLPH & SANTA Pre-order CHRISTMAS IN JULY! www.timeandspacetoys.com somewhat based off the pictures of the actual figures from TIME & SPACE TOYS! A GARFIELD GOOSE hand puppet, just like mine, recently sold on EBAY for over $500! Check my article out on FRAZIER THOMAS and GARFIELD GOOSE & FRIENDS at http://www.tvparty.com/ I also wrote a section of the TV PARTY book about BILL JACKSON and his BJ & DIRTY DRAGON. Wrote a few other articles at http://www.tvparty.com/ including one on BOZO'S CIRCUS. Interesting release. It is coming from the same company that is releasing JACK FROST (WARNER BROTHERS) BUT they failed to mention or include the RANKIN/BASS name/logo on the front cover. Several months ago, I heard from the people WARNER BROTHERS hired to put together the extras. They asked me if I had stuff from the series...I advised I could help with the entire files and have LOTS. I asked for compensation for my help and that was the last I heard from them????? In other words, the SPECIAL FEATURES on this set will not be complete and most likely be garbage. 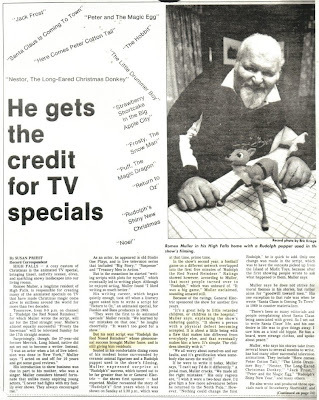 Again, no RANKIN/BASS Documentary with interviews of people that worked on the series? EBAY: Who is minding the store? I often wonder who the brilliant minds are behind EBAY these days. They remove the option of leaving negative feedback for sellers. When you ask why???? They send you a form letter answer. When you respond to that....you get another stock response. Did computers actually take over EBAY? Is there any living person there with a thinking brain right now? If you know, let me know. 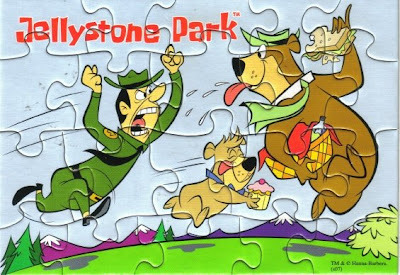 H-B JELLYSTONE PARK puzzle postcard from Sara! The kids are back now and I took Sara to GUITAR CENTER to pick up her first YAMAHA Acoustic guitar last night! Coming this Fall. The SPECIAL FEATURES are garbage BUT I like the cover! They (The people that put the extra features together outside of WARNER BROTHERS) thought fans would like a sing-a-long much better than a RANKIN/BASS Documentary. I like the RANKIN/BASS name on the front cover. They lifted the logo right out of my first book. PATRICK OWSLEY did it.